Need a quick pizza? I love how naan bread can give me beautiful, quickly assembled pizzas with toppings that I love. 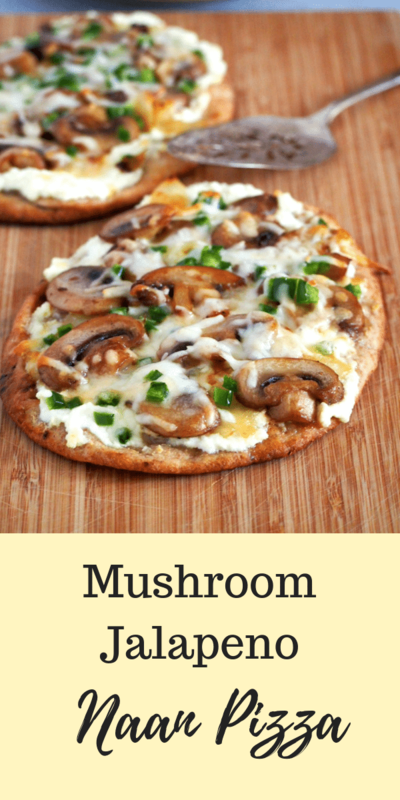 This Mushroom Jalapeno Naan Pizza packs amazing flavor with a bit of heat. 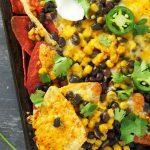 Makes perfect snacks or lunch! I went through a phase of naan bread obsession. 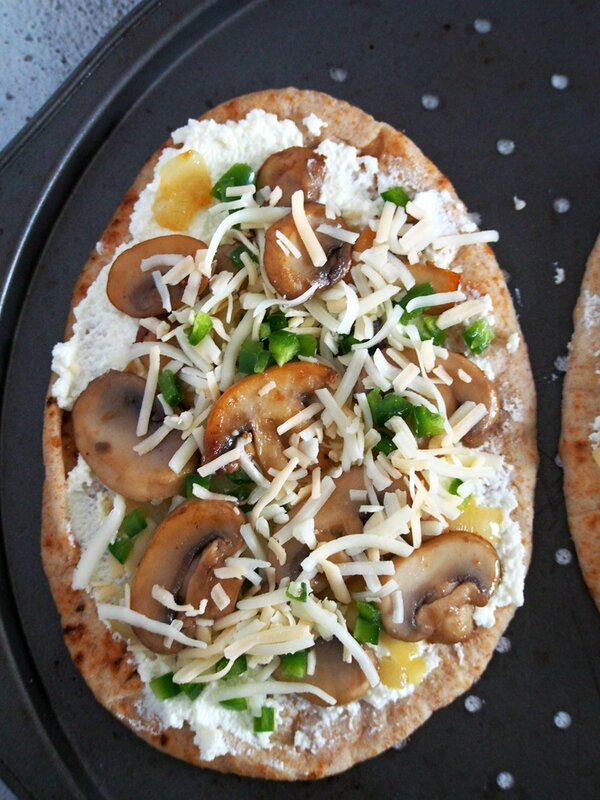 I would buy packages of whole wheat naan, freeze them and consume them all month long, making pizzas of all sorts. I felt like a real pizza connoisseur. The most frequent one on rotation was this Mushroom Jalapeno Naan Pizza because, well, I have a deep love for mushrooms. 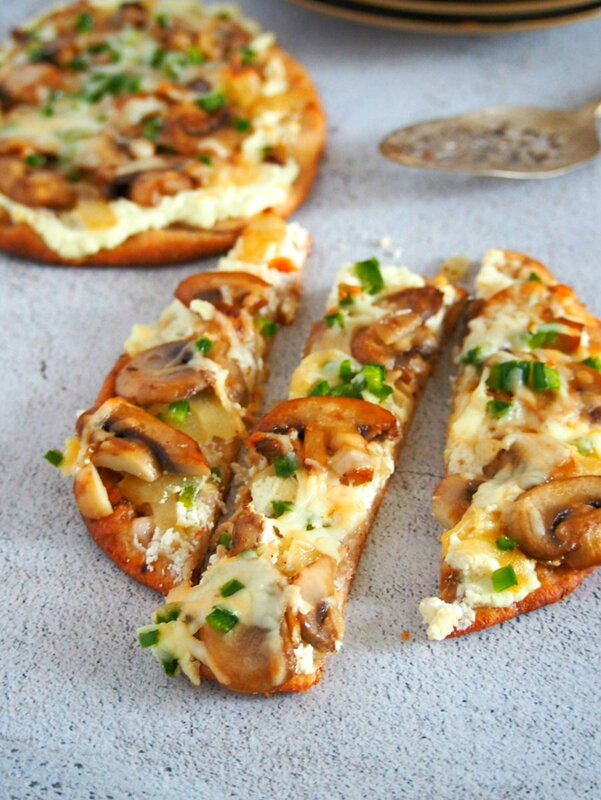 And this pizza combines delicious earthy flavors of mushrooms with sweet caramelized onions and spicy jalapeno. It is total goodness. So I made them really often. To the point where the rest of the family were tired of it. But really, can you blame me? 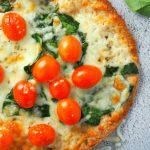 My favorite toppings, on a ready-made pizza crust, and bakes in 10 minutes or so. And to add to that, it is crispy perfection. I was hooked. The only real work involved here is cooking the mushrooms which I don’t mind because, again, mushrooms! Also another one of my favorite things in the world- caramelized onions. I love how they are almost burnt but not really, and they are slightly sweet because of a little bit of honey. And of course, the naan bread! Oh, the lovely things I can do with you, naan! I am just so so happy that they exist. I can make my daughter a pepperoni naan pizza in minutes, I can load it with anything I want. Or simply, I can toast and eat it plain, like chips. 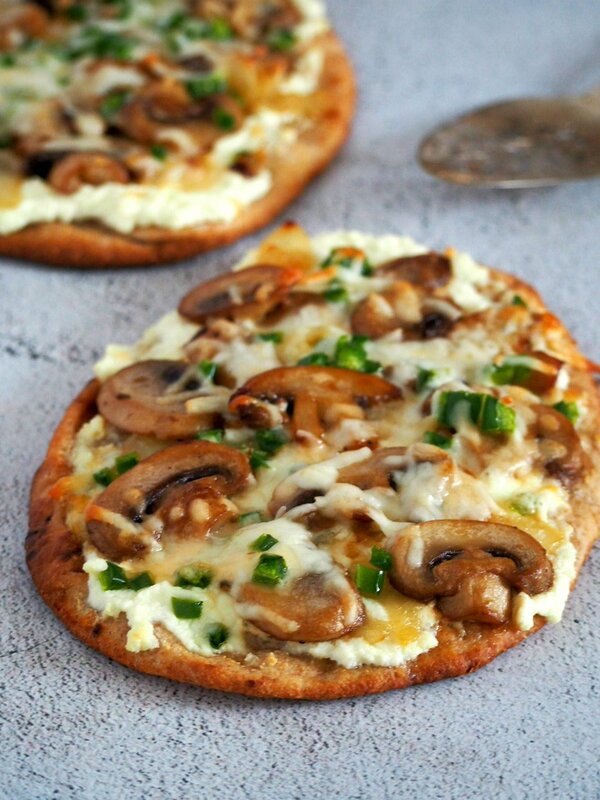 But this Mushroom Jalapeno Naan pizza is one on top of the list. Could you tell that I love every element in this naan pizza? I do. I really, really do! In fact, writing this post makes me realize that I need to stock up on naan bread again. 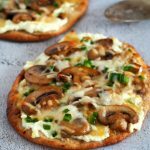 So, my whole point is, if you are like me who totally loves mushrooms, a crunchy pizza crust and wants it quick, naan pizzas are the way to go. 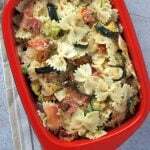 They make a great lunch for two, or even just lunch for you when your family can’t ride in with your obsession anymore. Happy pizza making! 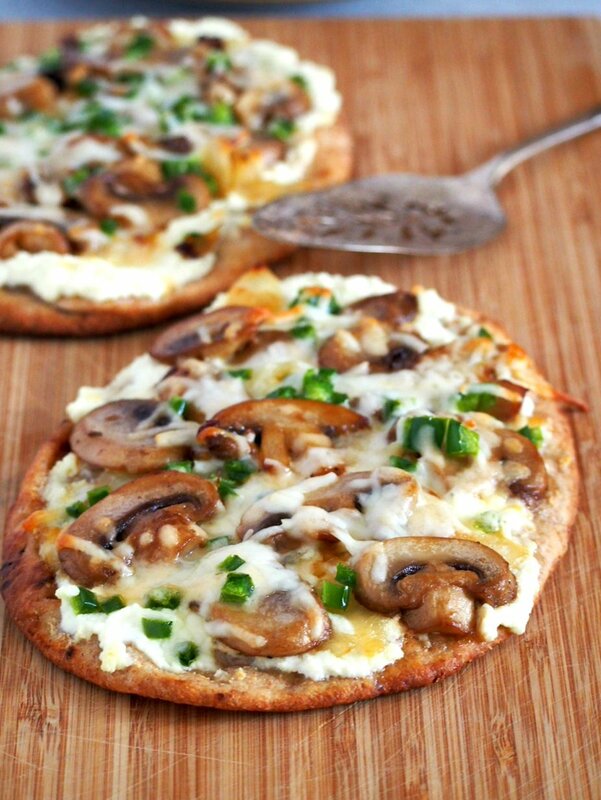 These Mushroom Jalapeno Naan Pizza are quick, tasty and baked to crispy perfection. Preheat oven to 425 F. Spray the naan bread lightly with water and pat dry. 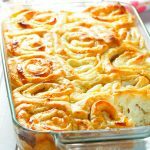 In a skillet, heat half of the butter until melted and bubbly, add the chopped onions and cook over medium heat until they are soft. Season lightly with salt and pepper. Add the honey to help caramelize the onions and cook for a few minutes more until lightly browned and really soft. Transfer to a small bowl and set aside. In the same skillet, add the remaining butter. 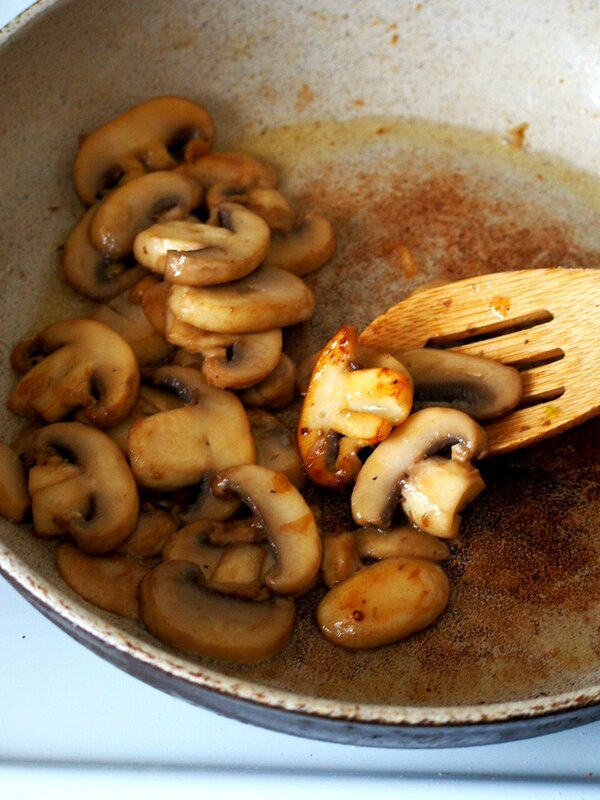 Cook the mushrooms until browned. 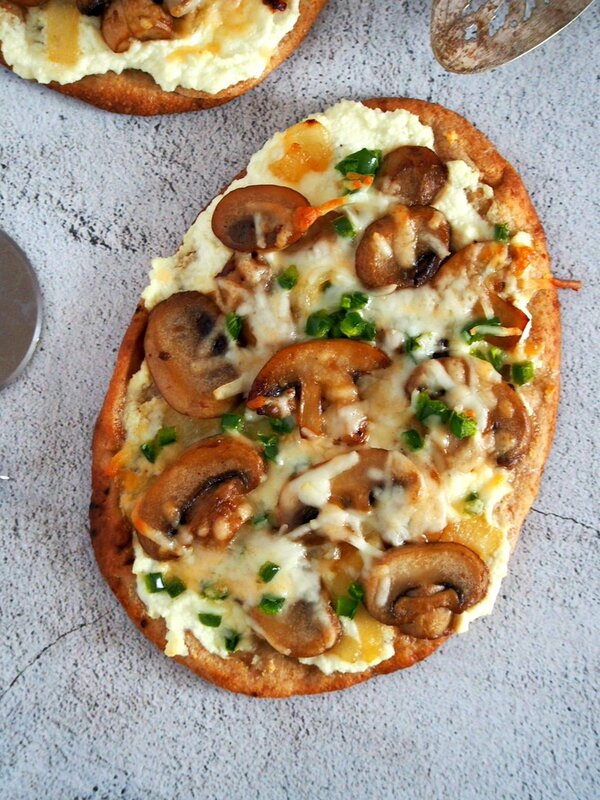 To assemble the naan pizzas, spread the ricotta cheese evenly on both the naan bread. Add the caramelized onions along with its juices over the ricotta, and top with the mushrooms. 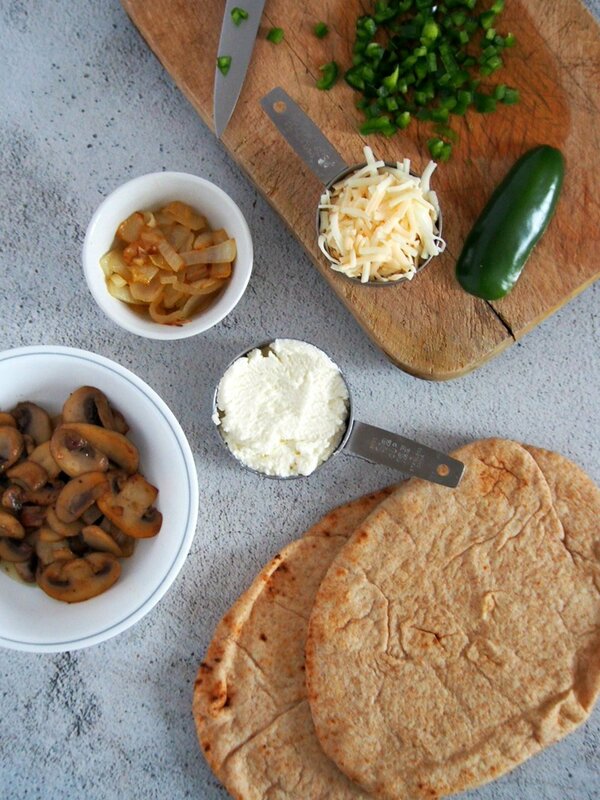 Sprinkle the minced jalapeno, then top everything with the shredded mozzarella. Bake in the preheated oven for 10-12 minutes, or until the naan are crisp on the sides and the tops are lightly browned.